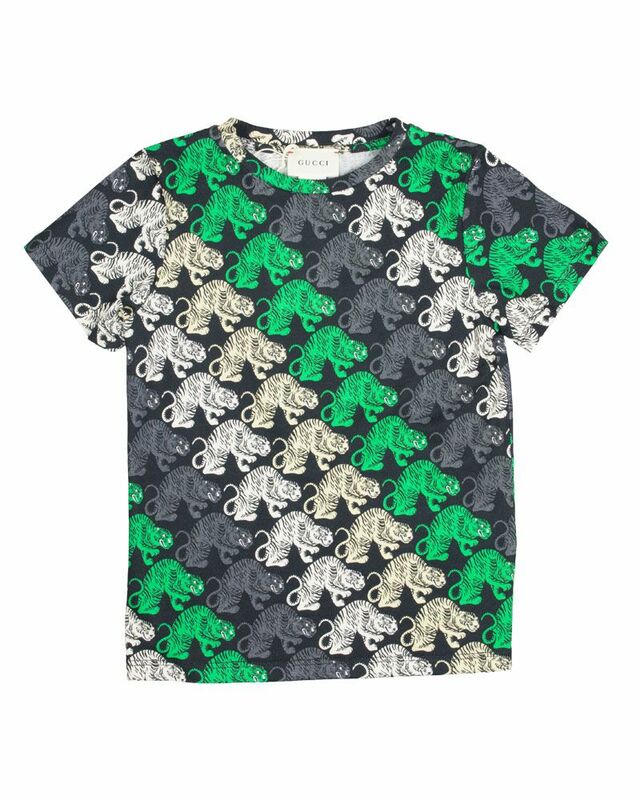 Gucci soft cotton green and black multi-colour tiger print tee shirt. 100% Cotton. Imported.